Do Students Cheat More Now? Thursday, January 25, 1912: Gave my ear to a free-for-all lecture this afternoon. It was delivered by Mr. Teacher, the chief part of which was about cheating on examinations. I’ve been so worked up at this, although Conscience tells me not to. Anyway I believe it is time to stop, and do better in the future. So now, I will try to bid adieu to all ways of crookedness and get the things in my head instead of having them on paper. 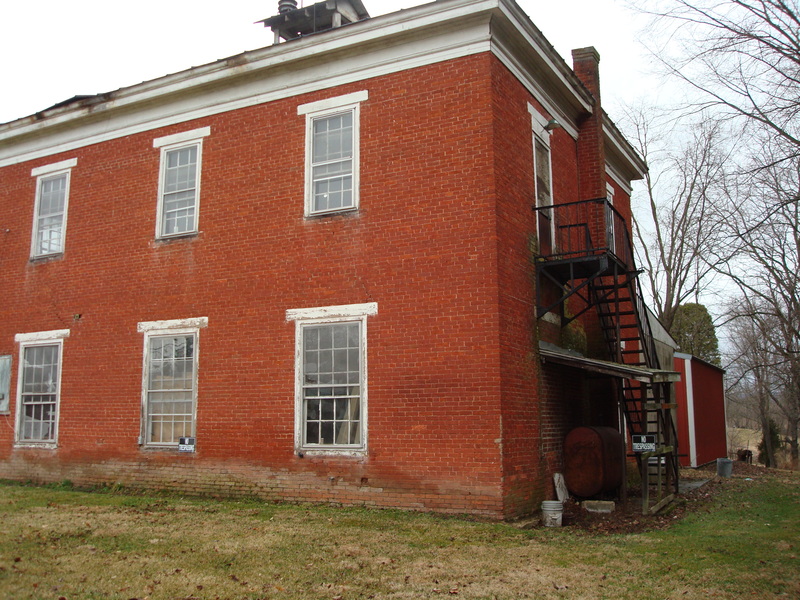 Recent photo of the building that once housed the McEwensville school. My grandmother cheating on tests!! . . . .Grandma, what were you thinking? Sometimes it’s hard to interpret what Grandma wrote without judging her. Grandma was 16 and about 40 years younger than me when she wrote this diary entry. I’m looking at this entry through the lens of a mother and I can’t completely wrap my head around why a teen would decide to cheat. I want to think that the world was a simpler place a hundred years ago—and that students were less likely to cheat back then. But I’m not sure. This is the second time Grandma’s mentioned cheating in the diary. Some of the boys at school found the teacher’s Latin questions in examination, and we all expect to make a good mark. I do at least, but I might be fooled as some cheats are. Had some of our exams today. Came out all right in Latin. Our arithmetic wasn’t so easy though. Posted on January 25, 2012 January 24, 2012 by SherylPosted in EducationTagged 100 years ago, 1912, diary, hundred years ago. I remember cheating on spelling tests in the 6th grade back in the 1950s. Lucky for me I didn’t get caught. My mother would have killed me! I was a good student and don’t remember why I didn’t just learn the words for those few tests. My great-grandmother was a cheater! Tsk tsk tsk…. Anyone who writes so eloquently about cheating certainly didn’t need to. It must’ve just been a game to her. The thrill of the forbidden.